On Hold Steady, the emcees flip over a hype guitar infused production, as they declare that the people are not ready for the project they are delivering. It’s very much a true introduction, not only into the project, but the men as artists as well. They call out all competitors who may have gotten their heads gassed by their friends and back it up with some tough deliveries. They trade sharp bars and play off of each other’s styles quite well. It’s obvious on a track like this why the two decided to combine forces to tear it down. That’s some pretty dark talk right there. All this is not to say the project is without it’s lulls. There are a couple of tracks that did not manage to carry the duo’s intensity forward. For instance the track Phoebe Crates had the same musical intensity as the rest of the album, but seemed misdirected. The chorus really didn’t feel natural to me and didn’t really serve as the ‘Honey Hunting’ anthem it was supposed to be. It, in general, did not seem to fit the course of the album. But, regardless, at the project’s height, Arnell and Zilla deliver banging hymns that rattle the soul. 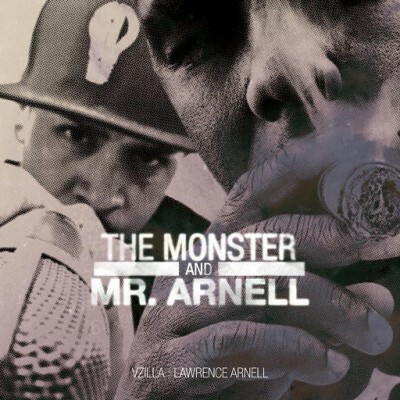 The Monster & Mr. Arnell more than not rises to the occasion with it’s level of integrity in rhyme and production. The lead single, The Excellence, is a prime example of what these emcees are capable of musically and the title of the track aptly describes that capability. Their wordplay and chemistry prove potent and their keen ear for beats sets them up for ongoing success. If you are looking for an album from two of the nicest beat murders, then you need look no further than The Monster & Mr. Arnell.